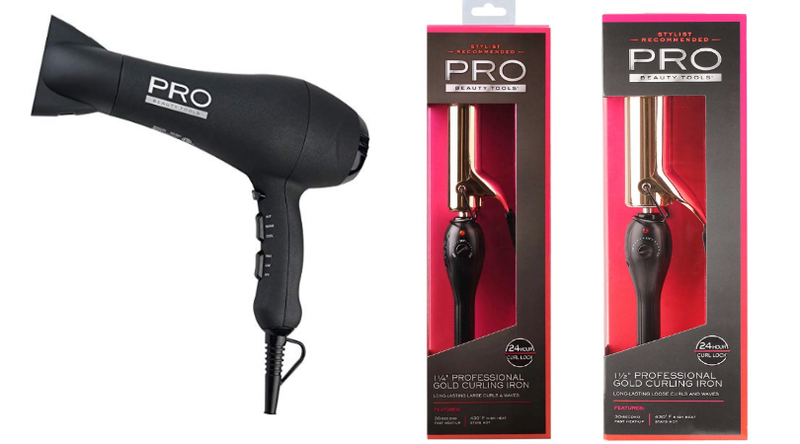 Pro Beauty Tools Professional Gold 1-1/2" Curling Iron as low as $7.73 (Regular $24.99) + More! 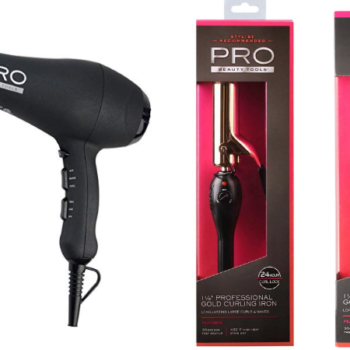 Pro Beauty Tools Professional Gold 1-1/2″ Curling Iron as low as $7.73 (Regular $24.99) + More! Big thanks to Hilary for letting me know Amazon has a new coupon to save on 20% on one of the Pro Beauty Tools from this page! Check out a few of the deals below. Keep in mind prices, coupon and stock can change at any time without notice so make sure to verify current pricing before purchase. Pro Beauty Tools Stylist Recommended 1875W Ionic AC Motor Hair Dryer as low as $11.27 after 20% off coupon (regular $39.99).